Military loans are designed to help our service men and women borrow money at a reasonable rate. When you are in the military, or are a veteran of the military, you have several options for loans. Many different lenders cater to the military as a reward for their years of service. Here are a few military loans that could help you in certain situations. The Small Business Administration has one of the best loan programs available for members of the military and veterans. The SBA Patriot Express Loan is designed to help military members start their own small business. With this type of loan, you can borrow money for a venture, with reasonable expenses. The money can be used for a number of different applications including start-up, expansion, real estate purchase and equipment purchase. You can borrow up to $500,000 for business expenses and get a rate that will typically vary between 2.25% and 4.75%. The rates offered are below market rates. With the SBA Patriot Express loan, you are also exempt from making large down payments and you will be able to get through the loan process very quickly. A lender will usually have your approval decision within three days of application and they will find a loan that can work for you. The best place to find out more about SBA loans is on their website. They list information about lenders in your area that can help you. If you are looking to buy a house as a member of the military, there is no better home loan program than a VA home loan. The department of Veteran Affairs makes it very easy for military members to buy a house. 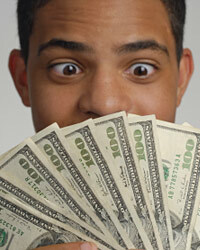 With this loan program, you can get the money that you need and not have to make a down payment. Being able to finance 100% of the cost of the house is extremely rare these days. Having a program that will help you buy a house when you do not have a substantial amount of savings is a great opportunity. In addition to the down payment benefit, you can also get a loan without having to pay private mortgage insurance. PMI usually adds an extra $100 to $400 on to your monthly mortgage payment. This additional expense can make many mortgages unaffordable for many people. But if you can eliminate that expense completely, it can be a huge benefit for you. You can even afford to use the savings to purchase a bigger house. Or, the money can be used to increase your overall financial picture and can be placed in a retirement savings account. VA loans are also backed by the government, in case of default. As a result, banks will offer VA borrowers a competitive interest rate. You can save quite a bit of money on your monthly payment and over the life of the loan with a lower rate. Additionally, the costs of the loan are regulated and monitored closely to avoid predatory loan practices. Lenders that offer VA loans are listed on HUDs website.